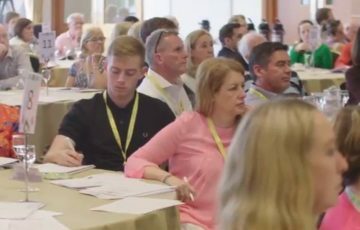 A film by the Scottish journalist Patrick Chalmers describes the Citizens` Assembly of 99 Irish men and women who gathered at the end of 2016 in a hotel in Dublin… and brought about social change not only among themselves, but among an entire society. The news of the success of the Irish referendum (with over 66 per cent approval), which stipulated that the ban on abortion in Ireland should be revoked, probably surprised many people who expected the conservative forces to have the upper hand. A constitutional ban on abortion has been in force in Ireland ever since 1983. Since then at least 170 000 women have travelled outside the country in order to terminate their pregnancies, writes The Guardian. As Irish society turns over a new page in its social history, it is worth returning to the path that was taken to reach this decision to organise a referendum on abortion. A Citizens` Assembly, which took place at the end of 2016 in a hotel in North Dublin, made an important contribution to this decision, announced by the government on 8 March 2018. A group of 99 Irish people, chosen by random selection (the way the jury of a court is selected) – supporters of abortion, opponents and people in the middle, listened to expert opinions and pregnant womens’ stories, and debated among themselves over five weekends. They were housewives, students, truck drivers, etc. These representatives of the people participated in a democratic innovation related to taking public decisions by people selected on a random basis. Experts presented the medical, judicial, civic and other aspects of abortion. Participants in the assembly could freely express any kind of opinion, listened with respect to different positions and … finally made a decision. “A majority of assembly members ultimately recommended amending the Irish constitution to allow lawmakers to address the issue of abortion access. Almost two-thirds also recommended legalising abortion without restriction up to certain gestation limits. An all-party parliamentary committee charged with considering the work of the citizens’ assembly subsequently recommended legal abortion without restriction up to 12 weeks of pregnancy”, writes the journalist Patrick Chalmers in The Guardian. 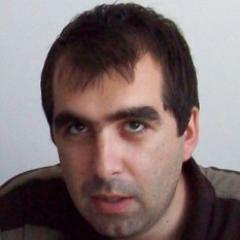 Chalmers has developed the All Hands On Doc website, where he publishes articles and videos on democratic innovations. His documentary about the work of the Citizens` Assembly in Dublin can be seen there too. Chalmers was interviewed by The Barricade in the spring of 2017 on topics such as his former job at Reuters and his interest in democratic innovations.